The acai berry fruit comes from acai palm trees. Native Americans have harvested this fruit for centuries, making it a staple of their diet. 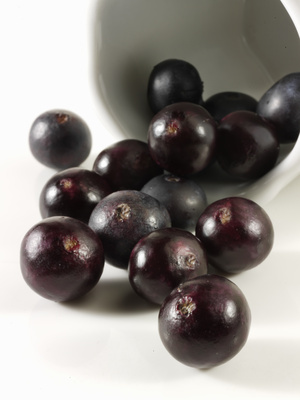 However, in recent years, acai berry has attracted publicity in the west, thanks to its’ incredible mixture of health-supporting nutrients, amongst them mono-unsaturated fats and dietary fibre. 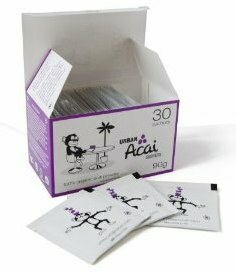 Holland and Barrett Urban Health Acai Powder comes in a box of 30 sachets, each containing 100% natural, premium, powdered Acai that is produced in sustainable, small villages in the Amazonian Rainforest. Acai berry is most famous as a supplement for weight loss, due to the way it can increase the metabolic rate. This occurs as a result of the extremely large quantity of anti-oxidants (substances that stop cell damage and oxidative stress) it has in it. This produces a quicker breakdown of fat, increases levels of energy and combats tiredness. Altogether, these effects ensure that the process of weight loss is easier and quicker, without the side-effects normally linked to synthetic chemicals. Not every acai product is created equal. Different manufacturing processes for creating acai berry products produce different levels of overall purity and nutrients. The spray dried process utilizes heat and harsh chemicals to produce acai powder, eliminating much of the nutritional content. Frequently, this process is used because it costs 10% of the money it costs to freeze-dry acai. Acai produced like this is a waste of cash. No pesticides or herbicides are utilized while the berries are growing. The water content is removed at a low temperature, to maintain the goodness within the Acai powder. The tasty Acai powder then gets packaged into convenient foil sachets to restrict oxidation and light, ensuring it stays fresh. Holland and Barrett say that the finished result is a ready-to-mix drink, that naturally gives you healthy omega fats, anti-oxidants, vitamins, vital amino acids and fibre. It is always essential to know which drying method is utilized with Acai. Because Holland and Barrett use a low temperature, this should ensure that the process happens in an oxygen free vacuum, stopping oxidative reactions from disintegrating the nutrients. This process is the best way of sustaining the array of nutrients present in Acai. Every study which validates acai’s nutritional content was carried out on acai that had been freeze dried. Holland and Barrett do have a good reputation, and the small amount of customer feedback about this product online has been positive. Customers have remarked that the sachets are convenient to carry around, and that they approve of the product’s ethical sourcing and strict manufacturing conditions. Nonetheless, potential customers should remember that the actual product ingredients can not be completely verified because no acai products, as of April 2012, have been assessed (in the US) by the FDA. Possibky the best way to take acai is by capsule with Evolution Slimming’s Acai Plus being one of the most sought after and trusted products in the UK. 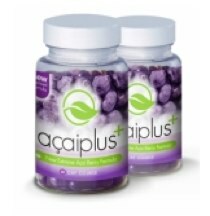 Acai Plus included freeze dried powder and green tea.